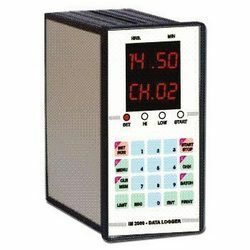 We have been offering IM2000 Series Thermocouple Data Logger with direct interfaces for various types like J / K / R / S / T / B / E etc. Loggers have built-in ambient compensation. The thermocouples are most commonly used sensors for measuring temperature in process industries. These can take any form and are available in various mechanical shapes. The temperature ranges are varied. Looking for Temperature Data Loggers ?